There are many choices when it comes to website design although what you’ll pay depends a lot on the quality of the site you desire. Some websites are well designed. Some websites are well developed. A quality website is BOTH well designed AND well developed. Design means pleasing aesthetics, stimulating graphics, and an overall “good feeling” about the site. In other words, a quality site. Development means well-laid-out pages with good page structure, intelligent search engine optimization, and using meta data the right way. The layperson does not recognize whether a site is well developed. You need BOTH quality design and quality development for ANY website. See my web design portfolio for examples. CAUTION: Many industries don’t charge a design and development fee up front but rather charge the client over the long haul. For example, you’ll have a low upfront fee between $300 and $1000 to get the site going. After going live you will pay between $50 and $100 per month for the life of the website. The financial services industry is famous for this. VERY COSTLY – This is not an intelligent way of obtaining a website because over 3-4 years this can amount to between $3000 and $5000.00 – a very bad investment. The worst part is that these sites have NO SEARCH ENGINE OPTIMIZATION (SEO) and a large amount of DUPLICATE CONTENT. This means your site will mostly sit there collecting dust and will never bring you any clients. Not only that, the duplicate content (detested by the search engines) will most likely keep you from being returned in the organic search results at all. The best way to figure out how much you should pay for a quality site is to educate yourself regarding the options. 1. The first question you should ask is: “What kind of site do I want?” There are two types of websites: online brochures that do nothing to add revenue to your business and a website that attracts clients while you sleep. Online Brochure: If you only need a site to act like an online brochure and you don’t need to attract clients from the Internet, then a simple five-page site will suffice. 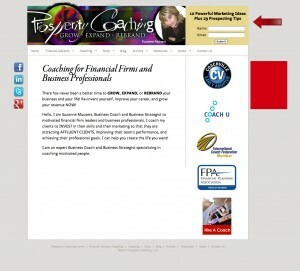 This type of site is good for those who have a built in client base and just need a site for credibility. Obtain Clients: If you want your website to be a work-horse behind the scenes bringing Internet traffic and prospective clients to your business, then this type of site will cost you more because the skill involved is much greater. Very few developers know how to both design and develop to attract Internet traffic. NOTE: Please keep in mind that this assumes you already have a professionally designed brand for your business – a logo and color palate. If not, there will be an additional charge to design these essential elements. Contact form – this is really a must-have feature, yet you’d be surprised at how quirky this option can be to get right. Gallery – Photographers, home designers, jewelry designers, and the like may have a need to showcase images using a slider feature. Product build function – if your product is customizable and you need your site to show options, this will increase the price. For example, a site used to sell custom cars will have user-selected options that change as customers progress through the sales cycle. E-Commerce sites – if you want to sell products on your site, this requires special coding and expertise. Integration of social media – if you have a social media presence, you’ll want links to your profile integrated into your website design. Private area/Membership area – if you would like your clients to create a username and password to access private content then this functionality requires special programming and expertise. Adding a Blog – if you want to add a blog to an existing website, this takes expertise that goes beyond the skills of most webmasters. Forum capabilities – if you’d like visitors to be able to start discussions based on their own topics, special programming is needed. Digital product download – if you sell information products and want clients to be able to download them from after making the sale, this requires special coding. Responsive Design – if you want your website to be rendered appropriately according to the device it is viewed on then you want this option. In years past developers used “mobile” design and often you would see a site with a .mobi version. The most current developing method for mobile devices such as iPads, kindles, smart phones, and tablets is to use responsive design (most developers will tell you they know how to do this advanced method, but in my experience they usually do not know how). API interface – let’s say your site must offer functionality for a specific need, for example an application process for new hires, this requires an interface with special programing. Video – if you offer how to videos or educational videos, this requires special knowledge. Vertical sliding menus – drop down menus, sideways menus, and other non-standard menu options can add to the complexity and cost. This is by no means an exhaustive list. There are many other features and possibilities available in the realm of quality website design. Investing in a good website can help you grow your business for many years and is therefore an investment in your growth. Before you make this investment, make sure you are well educated about not only what you WANT, but what you NEED to grow your business effortlessly. This post is part of my Branding Questions Series designed to answer all your questions about quality branding and design. There are ho hum websites and there are creative websites. The ho hum variety generally cost less than the creative variety, but the trouble is, many people don’t know WHY. That’s why I’m writing the Branding Questions Blog Post Series to educate my visitors on the how’s and why’s of good design and branding. After more than 30 years in this field (I’m dating myself here), I know a bit about good design. I can spot an imposter immediately. It’s usually the person who sticks with safe design rather than taking a visual risk. But what IS the value of creative website design? Read on and you’ll learn what good design is all about. Creative design allows you to stand apart from your competition. Imagine if you will that you are shopping for a service and like many people in this day and age you go straight to the Internet to do your anonymous research. You need a realtor to sell your home. Since you live in an affluent area, you really would prefer a realtor who has experience selling higher-end homes. In your research you land on the website of Realtor A and then you proceed to the website of Realtor B. Realtor A has been referred to you by a friend, but they have a generic website put together by a discount design firm. 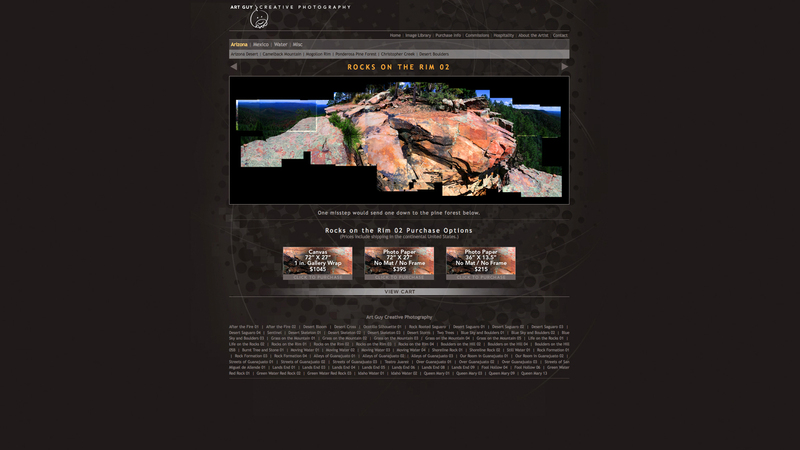 The site gives you a queasy feeling due to its lack of personality and unprofessional nature. So off you go to Realtor B, in this case let’s suppose it’s a website focused on luxury real estate. Realtor B has not been referred to you but gosh the site is beautiful. 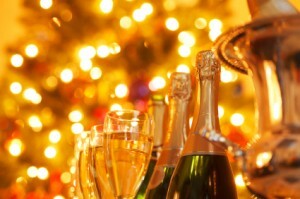 It’s focused on a luxury message and conveys an expert approach to selling luxury homes. Subconsciously you decide to approach this realtor and it doesn’t matter that you’ve found him on the Internet because he has provided sufficient information and professionalism via his website that you are in essence pre-sold. Good website design reinforces your brand. It’s an opportunity to present your business concept to an audience using both content and aesthetics in a way that creates a more complete profile of who you are and what you do. A website that is well-designed showcases your expertise and presents a personality that deepens the relationship with your visitors. In years before the internet prospective clients would call you to request a brochure to be mailed to them or to have you explain to them over the phone what it is you do. That was your brand. That was it. These days, your website performs the job of demonstrating your credentials, your expertise, and it explains why you enjoy working with a specific target market. Your headshot and bio establish a connection with the visitor. It’s one more way to reinforce your brand. A creative website is memorable. According to #6 in Stanford’s guidelines for web credibility, a well-designed site is essential: “We find that people quickly evaluate a site by visual design alone.” While content quality is important, you must first ensure that visitors will STAY on your site long enough to read it. Presenting quality design ensures people will return multiple times. When website owners make sites a more interesting and pleasant experience, it changes the landscape considerably. What makes a site memorable? Engaging illustrations, images, and visual excitement. Branding that is consistent from page to page. Easy navigation that allows movement from page to page. Color choices that are engaging rather than bland. In the Internet age, it’s increasingly important to stand apart from the competition, reinforce your brand, and be memorable. Good, creative website design can help you do just that. That’s why I’m starting this blog series “Branding Questions” that centers on the most frequently asked questions my clients and website visitors have about branding and design. This series is here to educate and inform you, not confuse you. Please feel free to submit your own questions in the comments and I’ll do my best to answer them. Should you look for a designer who has only designed materials for your specific industry or should you look for a designer with expertise? Given the choice, go for the expertise. Skill can be transferred from industry to industry. There’s no making up for lack of skill. What’s the VALUE of Creative Website Design? The benefits are many but do you know what they are? What do you get out of hiring a quality designer with expertise? I answer these questions and more to help you discern the true value of creative design. What you’ll pay for a website depends upon what you want it to do and the experience of the web developer/designer. Do you want your website to draw visitors to your business? Or do you just want a place-holder that acts like a brochure? Also, do you need your site to do any special functions? Learn the factors that influence web design cost. Investing in a website that pre-sells your services to prospective clients is an intelligent way to grow your business. Imagine getting up in the morning and finding new sales receipts or new client requests in your email inbox. Quality design and page one search engine results are what it takes to get clients while you sleep. The online world is far different from the offline world of branding. Traditional print marketing collateral has fallen by the wayside in favor of direct communication in the form of your website and social media profiles. Learn to take advantage of this here-to-stay reality. Rather than heading for the designer to ask them to “make your brand” first sit down and figure out what your company stands for and why you are in business in the first place. Your values and mission statement come into play when creating a persona for your firm. Give your designer something to work with by reading this blog post before your big meeting. Without realizing it, you may be making these mistakes with your brand. Does it match who you are? Does it come across as professional? It’s important to match your company personality with your brand so that you present a cohesive image to your idea clients. I’ll be adding more questions and updating as I go along, so check back frequently! As a self-professed artist, I can take one look at a website, business card, or other marketing collateral and immediately tell whether the piece is well-designed or the work of an amateur. But that’s because I’ve been a design professional since 1985. Assessing design and branding shouldn’t be a difficult job for the layperson. Take one look at a website and let your gut tell you whether it’s quality or not. Your ideal clients will know. They’ll be willing to pay more for your product or service if it’s well-designed. Here’s the main point: investing in your brand will pay off for many years. Many people struggle with marketing and branding ideas for their online marketing campaigns. It’s difficult to get creative when you are right in the middle of your business, dealing with day-to-day issues. 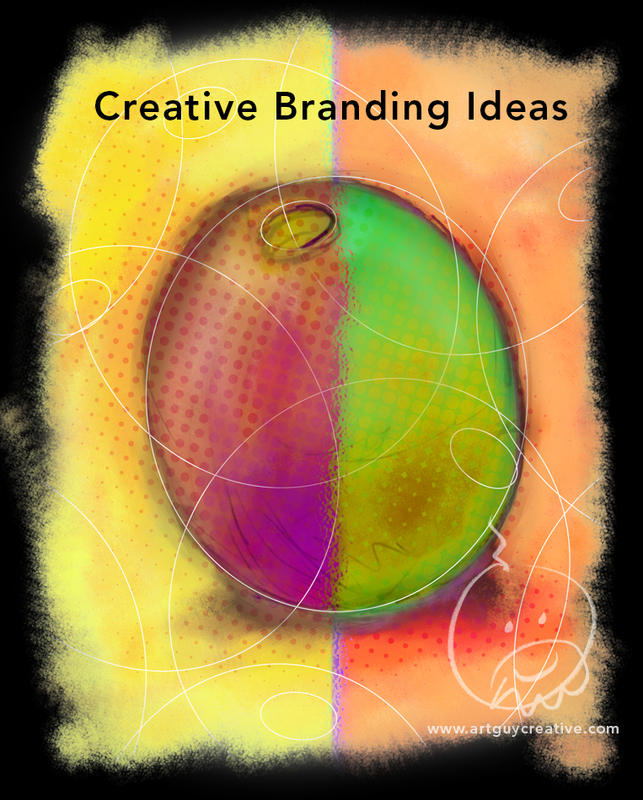 That’s why I’m writing this blog post – to give you some creative branding ideas for online marketing using your web presence. The Internet is a major factor in our lives in this day and age. More and more people have a smartphone, tablet, or Internet capable device. Websites have become the central station of our business operations and for this reason, we must ensure that the brand we show to the world is in good shape and presents us well. These days, if your website is not on page one for your keyword expertise, you’ll miss out on the vast majority of Internet traffic: 94% of internet visitors click only the results that are on page one. This is why once you get visitors on your site, you have to keep them there. Knowing this, let’s explore a variety of ways you can improve your Inbound Marketing results, keep visitors on your site longer, and improve your conversion rate. Digital event invitations – Utilize the power of the Internet to showcase your event and use creative illustration to do it. This illustration is housed on a webpage and uses unique branding to create excitement. Invitees use the online form to signify their desire to attend the event. No more printed invitations. No more waste. Easier to quantify the attendee list. Call to action in a graphic – If you’re not telling your website visitors to do something on every page of your website, you are missing out on one of the best ways to increase your online conversions. Using a call to action leads the visitor to do what you want them to do next. 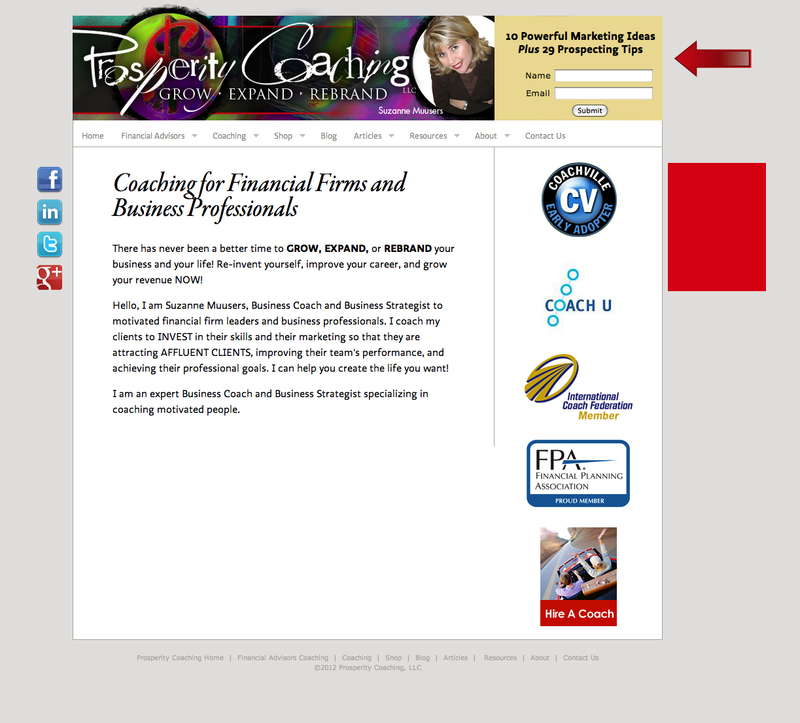 This example on a coaching client’s website asks visitors to request a consultation and does it in an interesting way. Notice the “Impatient? Click here” red button? This is a very effective way to brand the coach and get results. Get creative with your business logo – There’s no reason why you can’t cement your brand with a creative logo. This blog post shows many examples of using creativity in word, symbol, and illustration combinations. Your brand should be the center of your marketing universe. Use creativity to stand out. Examples of creative website design – These four websites exemplify how you can take the mundane and make it exciting. Who would have thought an auto repair website could be so exciting? Who would have thought of such a creative concept for hair design? Creative online brochures – Give your visitors something to do when they come to your website by making your brochure available in a downloadable form. Reduce printing costs, increase engagement, and make it easy for prospects to leave with a takeaway. 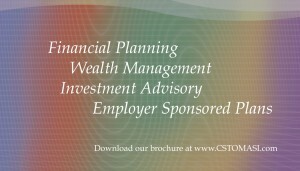 See this example here: financial planner brochure. Creative illustrations – Do you use clip art, stock images, and ho hum visuals? The best way to make a point or influence behavior, is to use a custom illustration. Confusing processes or elaborate procedures can also benefit from an illustration as they can explain the complex more easily than words. Custom social media profile images – The use of social media is critical in today’s busy world. Your business can benefit from a custom image to tell the visitor to do something as in “like” your page, download a free report, or spread the word about your business. This can also provide brand continuity and maintain a similar branded look throughout your social media pages. Get creative with your Business Card – There’s no need to waste the real estate on the back of your business card by leaving the area blank. Use this space to advertise your services or list the benefits of doing business with your company. Get creative and think about all the possibilities for the back of your card, but don’t forget a CALL to ACTION. That’s it for now. Check back frequently as I’ll be adding further branding ideas as time goes by. My point with this post is that there are plenty of opportunities to be creative in print design, website design, and every other design field out there. Don’t stick with the mundane. Get creative! Is there really a difference between creating a website design for a luxury real estate company versus a design for a company that attracts the masses? Is there a design distinction between attracting affluent clients versus the Average Joe? When you use Luxury Real Estate Website Design to attract the affluent, you’re on your way! Absolutely!! There is no doubt about it. According to the Luxury Institute, 64% of affluent buyers check out company websites prior to contacting the company to make purchases, which is higher than the 57% who ask friends and family for recommendations on service providers. If your website is not up to par, you not only risk turning off affluent buyers, you may never hear from them in the first place. 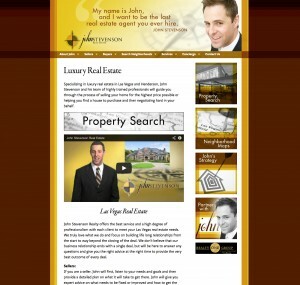 This blog post is all about designing a luxury website for real estate agents. 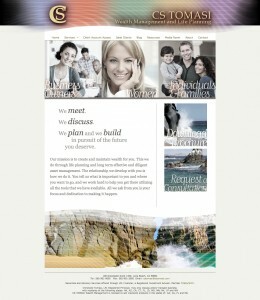 Here is visual of a site we recently completed for a luxury realtor in Nevada. Quality images – there are many sites to obtain free images on the internet. When designing for the wealthy, go for the best images you can afford because it’s worth it to showcase quality. Visual excitement – give visitors something nice to look at. Whether that means a rotating banner with benefit statements or exciting visuals of luxury homes. Just give them something beautiful! Illustrations – when explaining complicated concepts, do so with an illustration or infographic. Pictures are far more effective at delivering an idea than are words. Affluent brand – don’t use stock logos. Budget for the creation of brand that exemplifies luxury, service, and the best life has to offer. Rich, bold colors – don’t stick with the norm. Go creative to make a statement. The intent is to stand out from the competition. Your firm won’t stand out if it looks like all the other real estate companies in your area. Simple, uncomplicated design – don’t overwhelm your visitors. Give them something to do, but don’t confuse them. A confused mind does not buy anything. “About Page” focused on client needs – explain your credentials and history, but leave the main focus on how you SERVE the affluent. 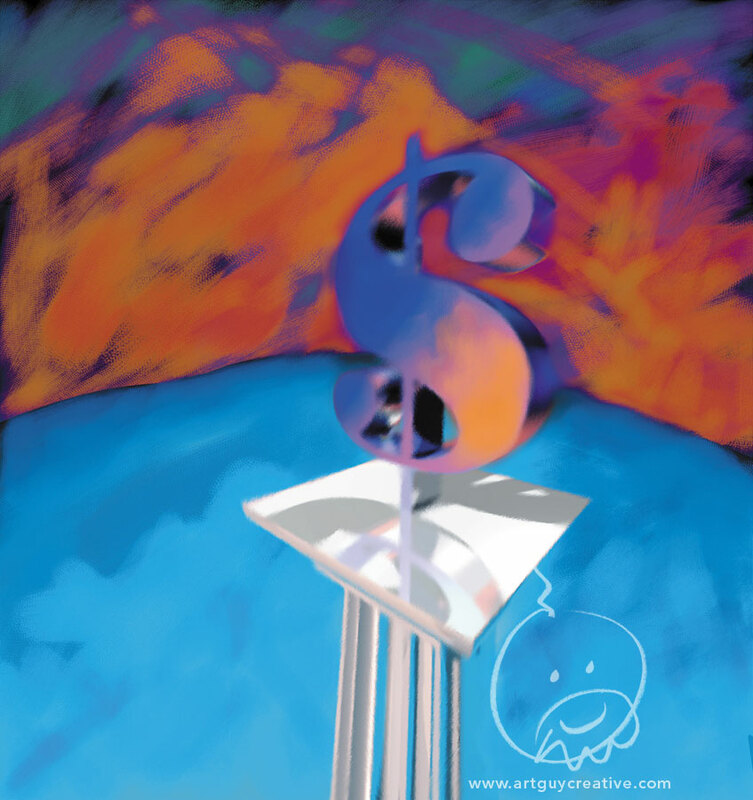 Special services focused on the wealthy – what can you offer that makes their lives easier? How can you provide a service that will save the affluent time? Create “Call to Action Boxes” with visual images– tell visitors what to do next by showing them a visual. Create a “rollover effect” to make the visual stand out when the visitor runs their mouse over the box. The affluent are looking for a top quality realtor who will provide their every want and need. It’s up to you to position your firm so that you are using design in a conscious and subconscious manner in order to attract them. 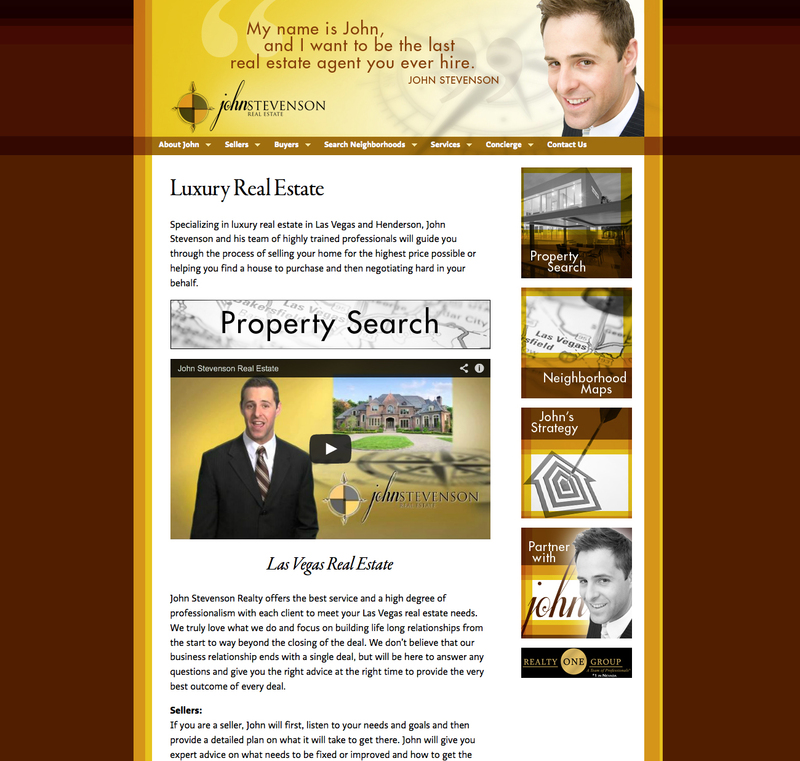 Designing a luxury real estate website requires expertise you won’t find in just any designer. 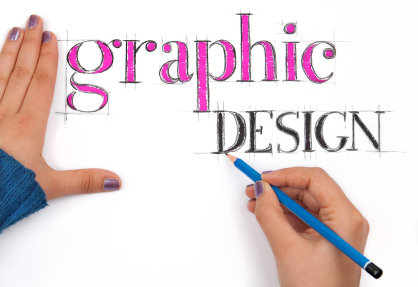 If you are considering re-branding your firm, now is a good time to talk to a professional designer about your vision. Contact Us Today! Planning to re-design your website? Not sure which direction to take? Taking on a website re-design project can be daunting. There are a multitude of ideas to consider, so much so that it’s mind boggling. Do you completely change your brand? Do you merely update it? Do you toe the corporate line? Or do you get out-of-the-box and go creative? How does one become creative using design? Use your voice to be creative. Let your voice come out in your redesign project by projecting your company values, showing what you stand for, and letting the public know what you are passionate about. Doing this will enhance your reputation by showing how you’re different. Some people are afraid of creativity because they don’t want to be different. They don’t want to call attention to themselves. But in the internet world, the goal is to stand out with creativity. So how does one spark creativity? Look at your project with the eyes of your best clients. Decide what you want them to know. Decide what you want them to do. Here’s a website planning checklist. You have to start somewhere, so begin with the end in mind. 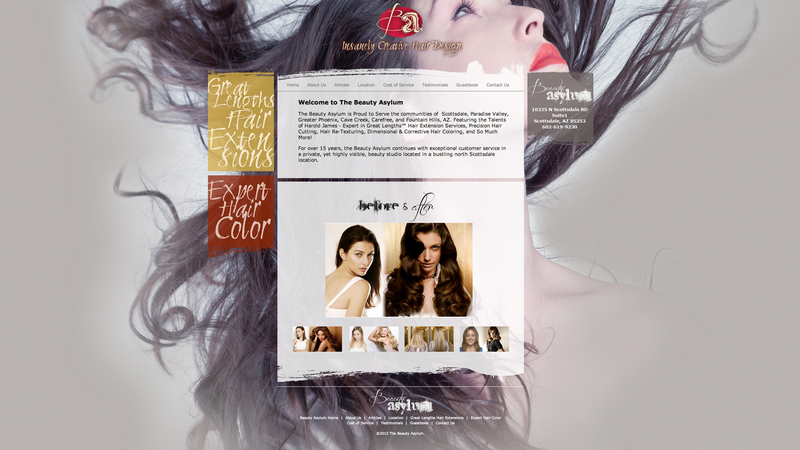 Here are four of our most creative website design projects to give you ideas. You’ll also notice the design goals for each site and how they were achieved. The goal for this project was to present information visually in a creative and upscale manner in such a way as to attract ideal targeted clients. Many financial advisors would approach a design project in terms of positioning the company’s attributes. We chose to approach the design in terms of the ideal clients. 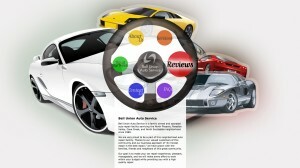 One additional challenge was to appeal to affluent clients using visuals. I’m proud to say that we specialize in visual design that makes visitors go “OOOHHH.” See #3 below. The goal for this project was to design a creative homepage in HTML with links to the interior pages which are all based in wordpress, allowing the client to make their own changes without the assistance of a web developer. 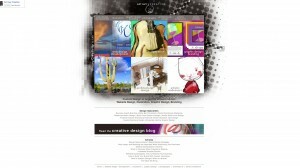 Since the location of this business is in Scottsdale, Arizona, an affluent look was essential to the design. The goal for this project was to create visual excitement as evidenced by the large background images of beautiful women with long, flowing hair. Ideal clients for this establishment want thick, curly, flowing, gorgeous hair. They also have the funds to pay for hair extensions, so a lead from this website stands a good chance of resulting in significant income to the owner. Well worth the cost of design and the blog writing efforts. Begin with the end in mind. Establish goals for your website rebranding. Think like a client and walk a mile in their shoes. Use visual excitement. Present visual images that make your target clients go “ooohhh.” You’ve got to understand who you want to attract, what you want them to do, and the end result. Using creative website design can help you accomplish your goals. 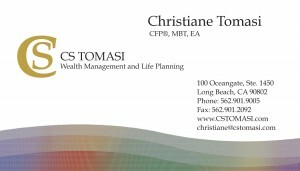 This is a Business Card for a Financial Planner in Long Beach, California. 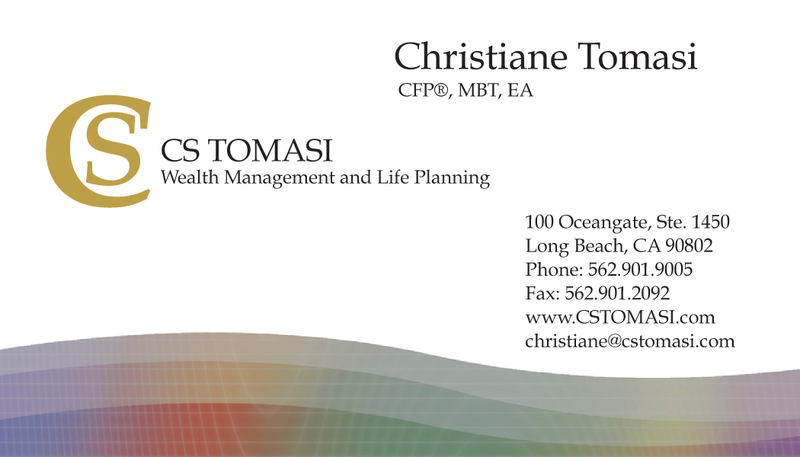 The client wanted a new Business Card that would reflect changes to her brand. 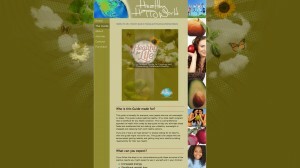 We had recently designed her custom website with blog and a custom brochure. Both were completely different stylistically from her existing letterhead and envelope, which she was not willing to redesign. 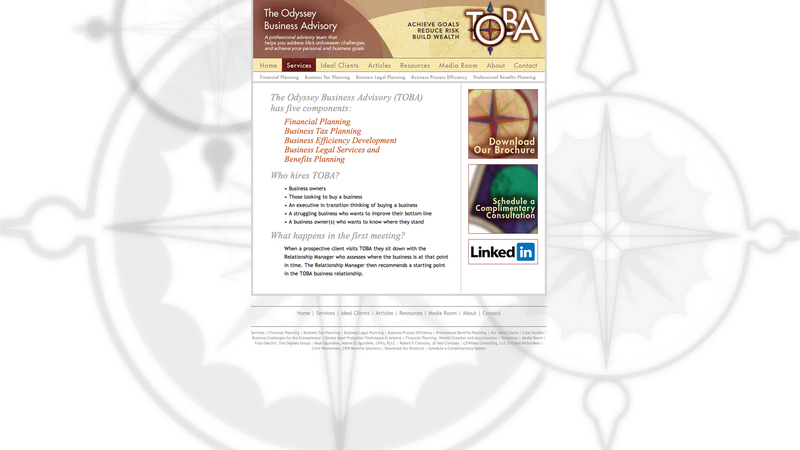 We were tasked with using design concepts from her website and brochure and aligning those with her new Business Card. Her existing brand is a simple logo, gold in color. Along with using the front of the card, we believe in using the real estate on the back of a card as additional marketing opportunities as you can see. Because her letterhead and envelope are simple in design, we elected to design the front of the card with a white background while using the classic logo. To provide brand continuity with her website, a “wave” design was incorporated along the bottom of the card. This visual tie-in helps the viewer connect the brand with both the simple logo and the website wave design. The “wave” design was used extensively on the back of the card to continue the visual imagery from the website. 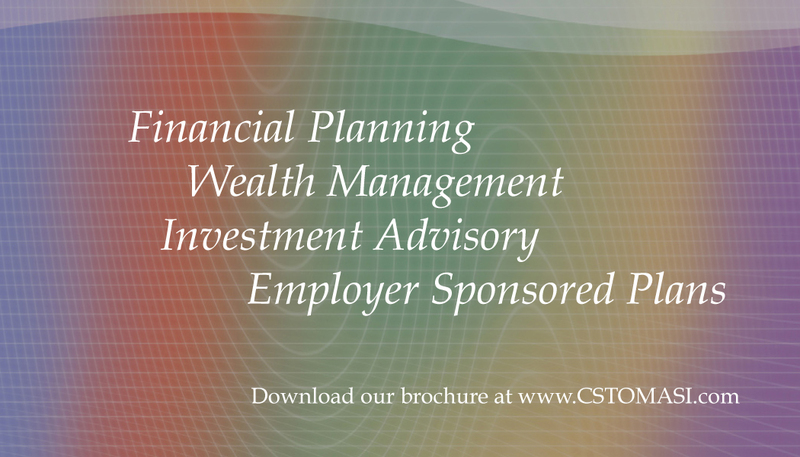 The terms “Financial Planning” “Wealth Management” “Investment Advisory” and “Employer Sponsored Plans” are all pages on the client’s website which we chose to highlight. Notice the request to “Download our brochure” which is a visual reminder to go to her website and review the digital brochure available online. This helps direct viewers to take the action the client wants them to take. Brand continuity is critical with financial firms. Because you want your affluent clients to invest large sums of money with your firm, you must elicit stability, professionalism, and trust through your brand. 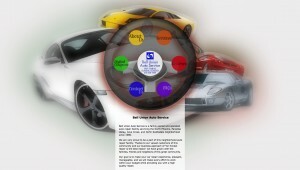 This is done with a design approach intended to create a visual bridge between marketing materials. Only an experienced design firm has the capability and experience to take your brand to the next level. Real skill is necessary to create the design concepts that will make you stand out from the multitude of financial firms in the competitive marketplace. 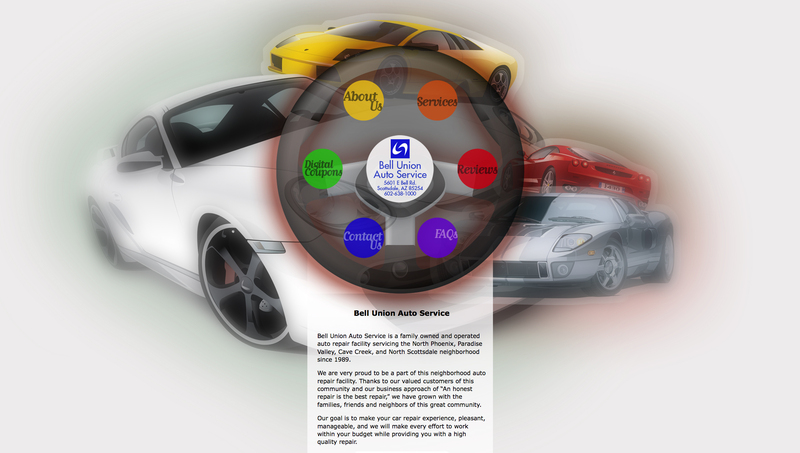 This is a website for an auto repair shop located in Scottsdale, Arizona. The client wanted a wordpress site so that he could update copy and content himself. 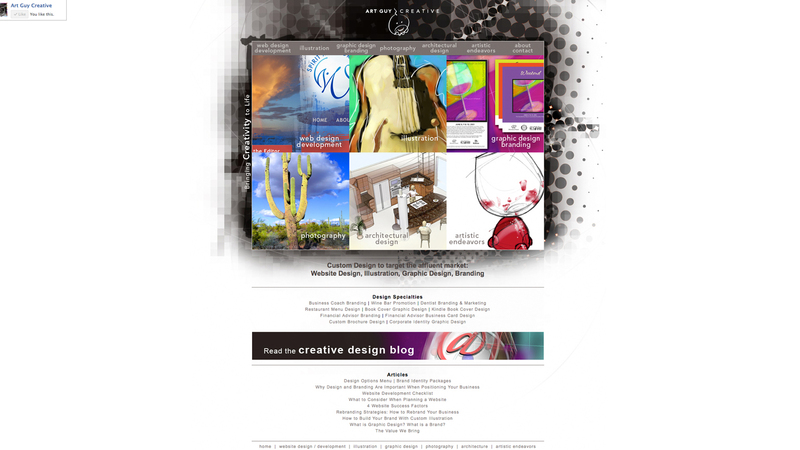 Due to limited design options within the wordpress structure, a creative home page would have been difficult to create. We suggested an HTML homepage and substructure in wordpress. This allowed us to get very creative with the website design. Since the repair shop is located in an affluent area, the owner wanted an affluent design concept so we elected to go with exotic automobiles like the Lamborghini and Porsche. Notice that the menu is a steering wheel. Wheb the visitor runs their pointer over the menu options, a rollover effect is triggered. This is the second design project we have done for this firm. The first project consisted of window wrap design using the same vehicles you see here in the website design. Brand continuity is important for any business and auto shops are no different. Taking a similar design approach from the repair shop and using that approach in the website design allowed for a cohesive feel. The subpages of this site are designed using wordpress, yet we were still able to maintain brand continuity here as well by using the exotic vehicles as a design template backdrop. This goes to prove that one can get creative with design and use it to set a firm apart in the marketplace. Very often, good design is subconscious and suggests a message through visuals. This website conveys the neighborhood feel of an upscale repair shop focused on customer service and excellent car repair. While many competitors focus on template websites or stock imagery, this site uses a creative, custom approach designed to attract a wealthier clientele. Even neighborhood shops need to be aware of the power of the internet. Customers may drive by your shop daily, but before they step foot on your property they will research options using the internet. Consumers want more than one page of information: they are looking for answers to frequently asked questions, digital coupons, maps, and a listing of services. While price is not usually a factor with a more affluent clientele, good design is essential to convey your brand to clients who want to hire you. It’s a question I often hear from potential clients. I am sympathetic to the concern. There’s a certain degree of comfort in knowing the designer creating your brand, web site, and collateral materials understands your business. Based on my 30 years of experience in the creative fields, I believe the creative process, when applied to any industry, can produce successful results both functionally and aesthetically. The creative process is flexible, dynamic and versatile. It is also objective, and when patiently adhered to, invariably produces results which satisfy the parameters established at the genesis of the project. Success is inevitable. Clients who are willing to stand apart from their peers are a perfect fit for my process. 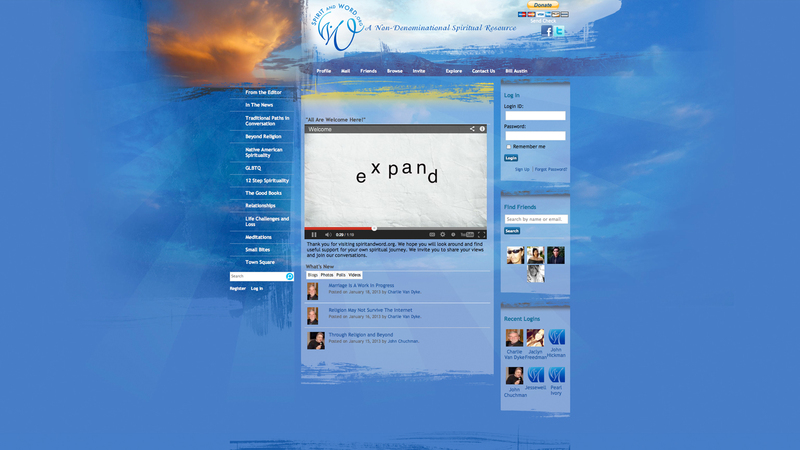 For the design of this spiritual resource site, the client offered minimal input: use the image of storm clouds, lots of blue, make it organic, and reflect the spirituality that is at the core of its mission. I need not know the minutia of your industry to understand how best to make you stand out. Let the creative process show us the way to positioning your firm so that you are communicating your unique values and building your business for a successful future. Review other common Branding and Design FAQ’s. 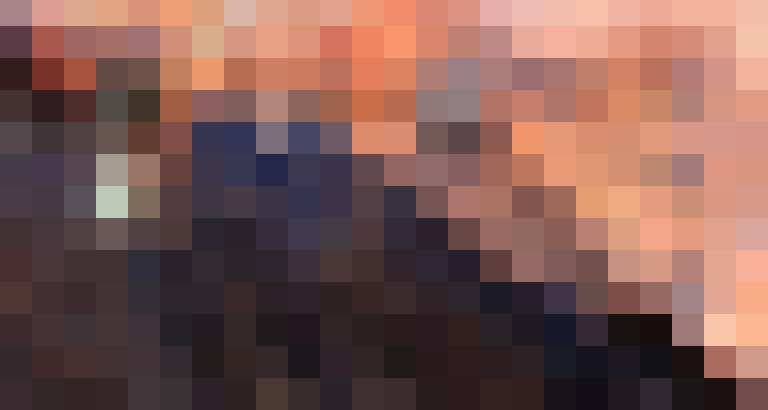 But at its core, the science is based visually on a square pixel and digitally on a binary system for turning those pixels on and off. The word ‘pixel’ is the confluence of two words – picture element. A picture element is a general term used to describe, for example, halftone dots on a printed page, tiny silver specs on photo sensitive paper, and the small squares on a computer monitor. My first exposure to this technology was on a Mac Plus which allowed the user to turn pixels (and rather large pixels by today’s standards) on or off – black or white. Now, pixels can be controlled with more than one on/off switch, and can be rendered far smaller, resulting in extraordinary, color rich screen resolution. Pixels are square mainly due to math. A square is more easily defined and more efficiently scaled. As a result, when a digital image is doubled in physical size, its digital size quadruples. One pixel duplicated along each axis (x, y) results in 4 pixels, once another pixel is added to complete the square. The point is, when viewing a page on the web, one is looking at a series of very small squares, which translates into a visual environment that too often appears staid and rigid. This need not be the case. The merging of science and aesthetics invariably generates beauty. The challenge in designing and developing web sites is too manipulate the science in order to produce a more organic visual experience. The science requiring manipulation is code – HTML, CSS, PHP, etc. New and creative maneuvering of code occurs on a daily basis, and artists are eager to utilize it. As the technology evolves with increasing complexity, the necessity to categorize and apportion various tasks on both the design and development sides of the web become more apparent. And those who appreciate, and are able to execute, a desired balance of technology and art will be best positioned to exploit the web’s possibilities. Creative marketing means creating a balance between technology and art so that it benefits the client and helps them sell more of their products and services. That is the goal. And the skills needed to accomplish this feat require both the left brain and the right brain. What does this mean to you? When looking for a brand consultant or web designer, seek out one who can create beautiful images on a platform that will bring you traffic.